As we said, Yom Kippur is the day when we get real; when we are allowed to just be. But this begs the question. Who are you? What does it mean to be yourself? Yom Kippur was the only day of the year on which anybody would ever enter the Holy of Holies. The High Priest would step behind the curtain and stand before the openly revealed Presence of G-d (Shechina). How does one behave when standing before such holiness? One supposes that one must be on one's best behavior. Even if he has faults, he certainly doesn't let them show when standing in the Holy of Holies. Or is this so? Before we try to answer this question, let's tell a story. A great disciple of the Baal Shem Tov, Reb Ze'ev Kitzes, desperately wanted to move to the Land of Israel. 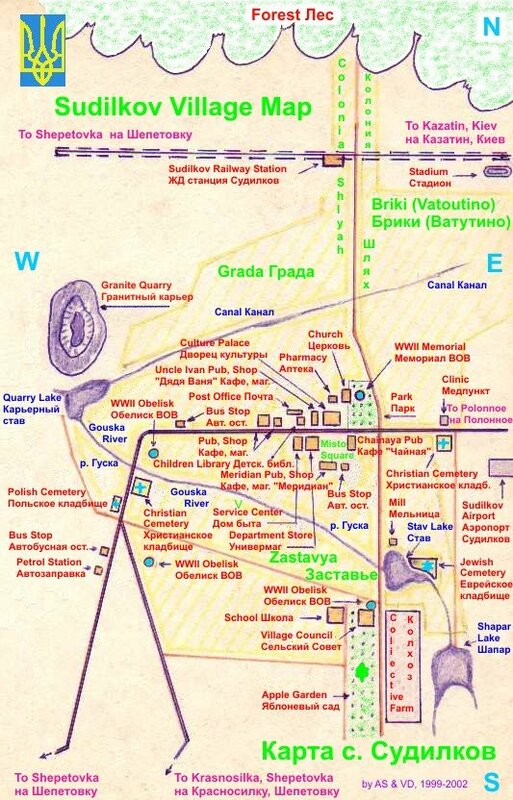 The Baal Shem Tov himself had attempted more than once to make aliyah but perceived that his destiny was to remain with the Jews of Eastern Europe. At any rate, Reb Ze'ev was torn. He wanted to live in the Holy Land but he also wanted to stay with his Rebbe. Finally one day, he made the difficult decision that he was going. He packed up his things, gathered all of the members of his household and set off on his journey. On his way, however, he would make one last stop to see his Rebbe. He resolved that he would not ask the Baal Shem Tov for his blessing for he knew what the Baal Shem Tov might say and instead decided that he would merely behold his holy master's face one last time without entering into any discussion of his plans. Of course, before entering into the Rebbe's inner sanctum, Reb Ze'ev immersed in the mikveh to purify himself. 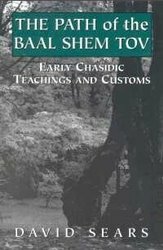 His master, the Baal Shem Tov, had taught him mystical intentions upon which to concentrate while immersing and, as such, as he lowered himself into the water he entered a deep meditative state. While immersed, he suddenly had a vivid vision. He saw himself and his family sailing on the boat for Israel. He saw the boat arrive at the port. He saw people and asked them where to find Jerusalem. He saw himself nearing the Holy City, then the Temple Mount. He then saw the Temple itself standing as if it had never been destroyed almost two millennia earlier. He saw himself enter the Temple and then the Holy of Holies. As he stood there, he was taken aback to see that the room was empty. "But where is the ark with the tablets," he wondered aloud in his vision. That is when he heard a heavenly voice ring out, "The tablets are in Mezhibuzh with the Baal Shem Tov." We cannot know what it must have been like for the High Priest to enter into the Holy of Holies on Yom Kippur. But we do have our Holy of Holies. For Reb Zeev it was in Mezhibuzh. This week, I visited my Holy of Holies in Queens. As I took off my shoes before entering the Rebbe's Ohel, I thought of the symbolism of removing our shoes on Yom Kippur and how it represents shedding the barriers that cover up our true selves. I wondered if this is what the High Priest felt like on Yom Kippur when he went to stand before the Shechina. Did he feel like all of the external overlays of his personality were being melted away and he was entering spiritually naked to bare the very essence of his soul? The essence of the soul is called yechida. The Midrash says there are five names for the soul and the Kabballah explains that these five names correspond to five different levels of spirituality. There is the nefesh which animates our deeds; the ruach which gives life to our emotions; the neshomah is the spirit of intellect; chaya is the soul's capacity for self-sacrifice; yechida, the highest level, is the soul's core. It is the essence of our own G-dliness. It is the place deep within us where we are indistinguishable from our Maker and bound up in Oneness with Him. On regular days, we pray three times -- each prayer service activates another level of the soul. 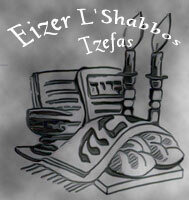 On Shabbos, the Festivals and Rosh Chodesh, we pray four times and are able to express the fourth level of the soul. Uniquely, on Yom Kippur, we pray five times for this is the day that reveals our yechida, our essence. This is why atonement occurs on Yom Kippur. On Yom Kippur we are in touch with the yechida, our true self which remains pure at all times. At such a level, there can be no sin and no separation from G-d. Even at the time that the rest of our soul may be dragged along with a wayward body, the yechida remains pristine. Now, a private audience with one's Rebbe is known as a yechidus, which might be translated as a "private audience" or a "one-on-one." But the name indicates something far deeper. Yechidus is the same word as yechida. 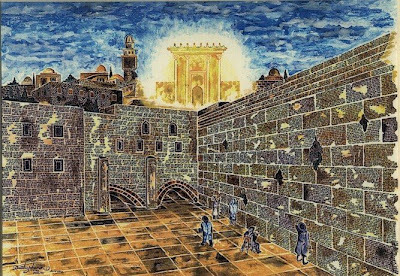 When a Jew enters the Holy of Holies -- whether he is the High Priest in Jerusalem, Reb Zeev in Mezhibuzh, or you and me at the Ohel -- we enter into a state of becoming our true self. We does not attempt to put on airs before the Rebbe. We don't try to make a good impression. We just bare our soul to the core. I once heard a story from a senior mashpia (teacher of chasidic thought) who related that when he was thirteen he was granted a yechidus with the Rebbe in 770. Needless to say that before entering he was quite nervous so he asked his teacher what he should say to the Rebbe. "Do you want that I should go in for you?" snapped the teacher. "We live in an "alma d'shikra" (kabbalistic parlance for "world of falsehood.") The physical world hides the essence of G-d, of the creation around us and, most of all, of ourselves. But there is one place of truth. When one stands in the Holy of Holies, there are is no pretension. One stands before truth and must be truthful oneself. And you ask me to tell you what you should say?! Say what is in your heart." So does that mean that when entering the Holy of Holies, one is free to let one's hair down, to cut loose? Generally, we think of inhibition as behaving better than you would really like to. The rest of the year that may be true. The rest of the year, disinhibition means letting yourself go. But on Yom Kippur, we let go of self. Letting yourself go means lowering your standards, giving yourself license to be less than you really are. Letting go of self means quite the opposite. It means a release from false identity. It means being greater than the conscious ego-self that you think of as you. In simple terms, it means dropping your "shtick." If we have made mistakes over the past year, it has only been because we were trying to be something we are not. We got taken in by the falsehood of the world learned to think, feel and act as a false self. We forgot who we really are, what the world really is and why we were sent here. Now we can return to our earlier question. We asked if standing in the Holy of Holies requires that one be on one's best behavior, holding back one's flaws. The answer is that when we enter the Holy of Holies, we must be pure and holy but not because we are forcing ourselves to act that way but because we are in touch with the essence of self that really is that way. When we are out there in the world, we identify with our base, instinctive selves. We look at holiness as an aspiration, as something beyond us we are trying to attain. But when we are standing in the place of truth, the view is quite different. We see our imperfections and shortcomings as something foreign. We realizes that our flaws and foibles are really an act, defense mechanisms of a self-conscious and wounded ego. Holiness is not a goal outside of ourselves. It is the normal state of being within ourselves. Back in Russia, there was a chosid who, because of his work, used to dress in the gentile fashions of the time. But whenever he would travel to Lubavitch, he would put on chasidic attire. After a while, he tired of this charade and resolved that he would stop trying to fool the Rebbe so he entered into yechidus in his regular clothes. "I must confess," the chosid wept bitterly, "That I have been fooling you." "The way I see it," said the Rebbe gently, "it was the rest of the world that you were trying to fool." Yom Kippur is not a day to pretend to be holier than we really are. We are merely being honest with ourselves and how holy we really are. We dress in white, refrain from our bodily needs and stay all day in shul not as an act but as an expression of truth. Yom Kippur is the reality check that reminds us if we have forgotten our true selves the rest of the year.